What will Marian Rivera and Dingdong Dantes' Baby Look Like? MANILA, Philippines - Marian Rivera and Dingdong Dantes are expected to officially announce this week the confirmation on the rumoured pregnancy of the Kapuso Primetime Queen. As they will have a baby soon, their fans are now asking - what their baby will look like? Through www.morphthing.com, it is now possible to see the result of the combined photos of two people. 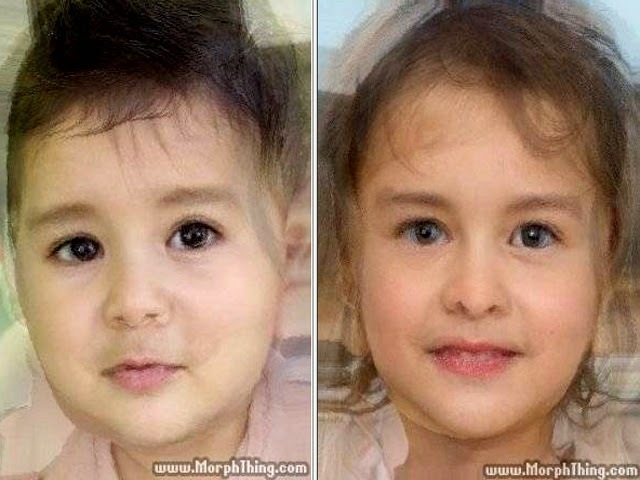 When combining the pictures of Dingdong and Marian, the baby generator website gives the following predictions about what their baby could look like - a boy or a girl. Since their marriage in December last year, Marian and Dingdong have always been open to having a baby and starting their own family. The three-time sexiest woman of FHM Magazine said she's willing to give the actor how many children he wants for. Do you think the baby will look more like it’s mommy or daddy? Photo Credit: Dingdong Dantes on Instagram.